Our set of 4 coasters can be used with hot or cold beverages, and come with a no-slip cork backing. Bulk rates, single item pricing and options are below. Recommended Image Dimensions: 4 x 4"
Rubber base coaster, 3.5" x 3.5" x .125" . Looks great imprinted with your design. These rates are automatically calculated upon adding item to your cart. Recommended Image Dimensions: 3.5 x 3.5"
Rubber base coaster - 3.5" x 3.5" x .125" . Looks great imprinted with your design. 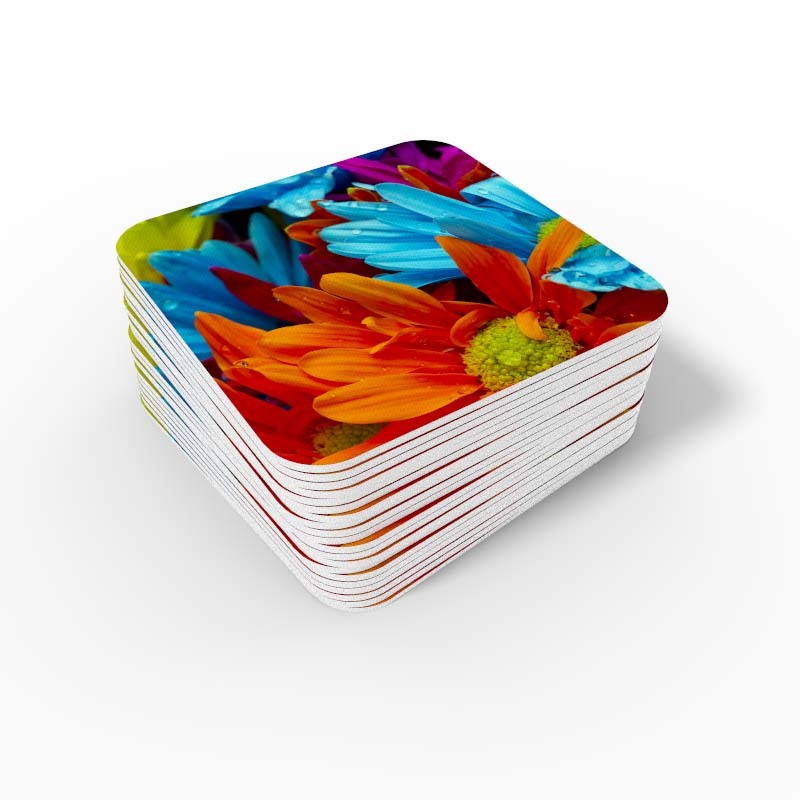 Recommended Image Dimensions: 4.12 x 4.12"
Set of 4 rubber base coasters, 4" x 4" x .125" . Looks great imprinted with your design. Set of 4 rubber base coasters, 3.5" x 3.5" x .125" . Looks great imprinted with your design. 4" Round Smooth, machined sublimatable slate, each with unique fractured edges. 3.5" Square, White Matte. Smooth, machined sublimatable slate, each with unique fractured edges. Recommended Image Dimensions: 4.25 x 4.25"
Single 4.25 inch ceramic tile to with your image printed. Set of four 4.25 inch ceramic tile to with your image printed. Recommended Image Dimensions: 3.86 x 3.86"
Sandstone Coaster, Round, 3.86" x 0.24", White, with cork backing.